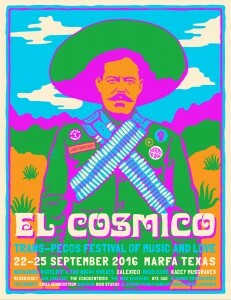 Calexico is very excited to play this year’s Trans-Pecos Festival of Music + Love at El Cosmico on 9/22 – 9/25 in Marfa, TX. Live music every night, camping, art installations, workshops and more. Tickets and more info available here.